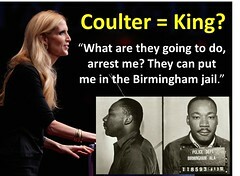 Alt-Right high priestess Ann Coulter has repeatedly called Gov. Nikki Haley an ignorant “second-generation immigrant.” Has she now extended that verdict to all non-WASPs? 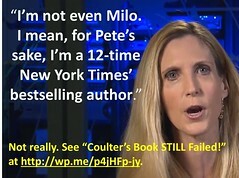 In a recent tweet, Coulter confused a native-born South Carolinian of Indian Sikh ancestry with a Native American. Apparently one “Indian” looks like another to her. 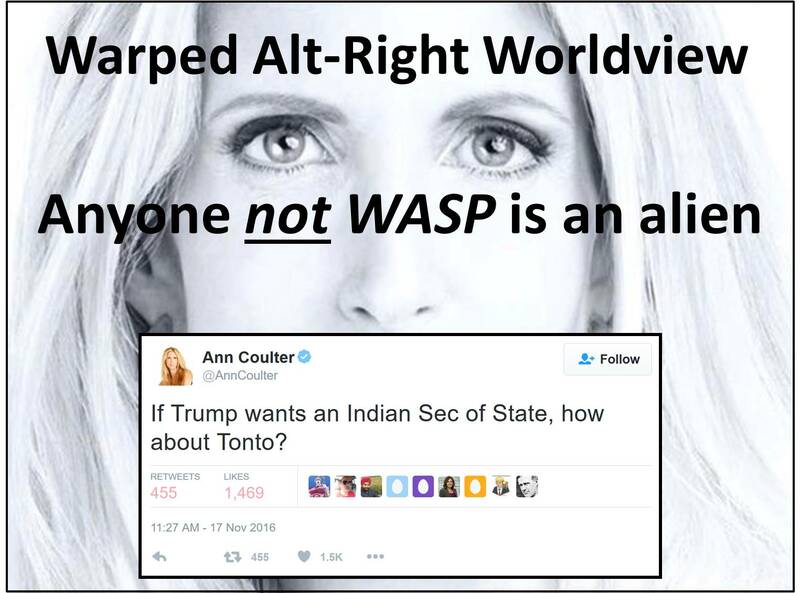 Actually, for the Alt-Right, anyone who is not a WASP is an alien.